A crisis is when the safety of an individual or others is at imminent risk. What Can Lead to a Crisis? When Must Action be Taken? 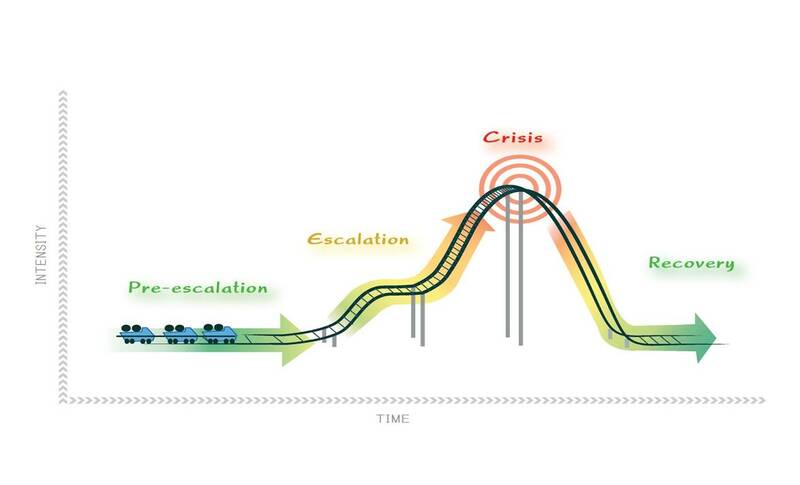 Below are the four basic stages of crisis: pre-escalation, escalation, crisis, and recovery. It is important to understand that adult behaviors can influence the course of a crisis to de-escalate or completely avoid crisis situations. Read one to learn about some strategies that can be used during the escalation and crisis phases. Your response will dictate the outcome. Use empathy. Speak calmly and respectfully. Give them time and space. Try humor. Assume there is an unmet need. Identify any problems that exist. 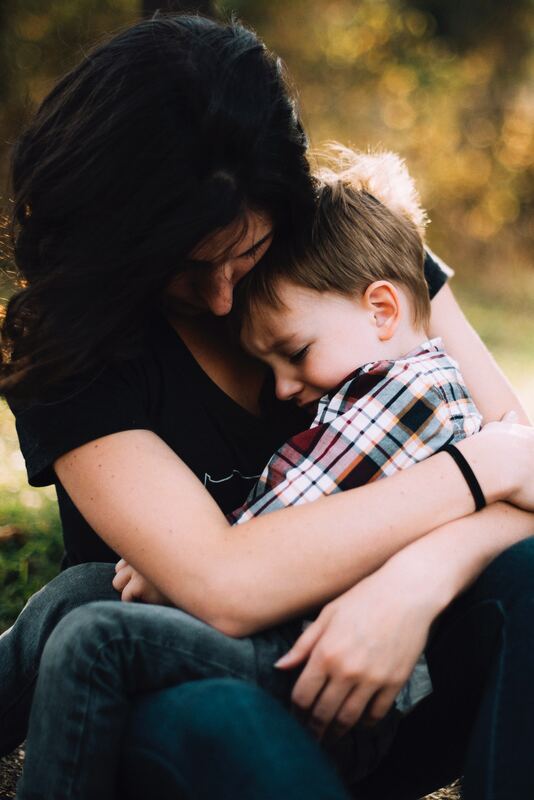 Offer words that comfort and affirm their feelings. Be responsive, not reactive. Offer help, preset options, and reframe the problem and get them to the solution. Set limits in a non-confrontational way and follow through. Unless your words are calming, stop talking. Be quite until it’s uncomfortable then be quiet some more. Do not try to rationalize or reason with them. Use protective strategies. Calmly remove any items that can be projectiles. Move slowly and deliberately. Keep a reasonable distance. DO NOT restrain the individual. This is unlikely to improve the situation or change future behaviors. This is a resource that contains crisis and suicide prevention lines listed by county across the state. HOPELINE is the Emotional Support Text Line in the State of Wisconsin and provides service throughout the entire state.